Queens is the largest borough in New York City by area size, spanning 178 square miles throughout the northern portion of Long Island. The borough is home to more than 2.3 million residents. 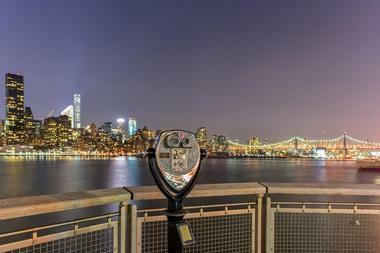 For visitors looking to explore New York City on a budget, the borough is a veritable gold mine of free visitor attractions. For lower-cost transportation, visitors can ride throughout the borough on New York's iconic subway system, the largest subway system in the world. Some attractions are free only on certain days – please check before you go. The NYC Hall of Science, or NYSCI, is the only interactive science center in New York City, located within Queen's Flushing Meadows-Corona Park. The museum is a top attraction for families and for World's Fair buffs alike, originally opened for the 1964 World's Fair and still housed within one of the park's only still-standing structures from the fair. Visitors can explore more than 400 science and technology-themed exhibits, including permanent exhibits such as a technology gallery, a science playground, a STEM-focused library, and an amateur radio station. Free museum admission is offered on Friday afternoons and Sunday mornings, with additional special free hours offered at select times throughout the year. Visitors should note that free museum hours are suspended during some museum special events, including the annual World Maker Faire. Some attractions, including the museum's miniature golf course and 3D Theater, require a ticketed upcharge even during free admission hours. Queens County Farm Museum preserves the largest undisturbed tract of farmland remaining in New York City, dating back as far as 1697. The farm has been operated continuously since the 17th century and has been overseen by the city's Department of Parks and the Colonial Farmhouse Restoration Society of Bellerose since 1975. 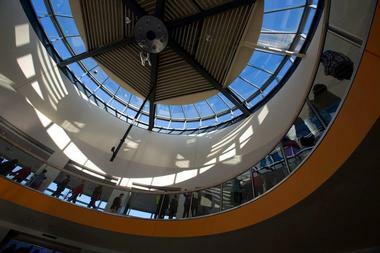 It is open to the public for free seven days a week during the morning and afternoon hours, spanning 47 acres throughout Queens' Glen Oaks and Floral Park neighborhoods. 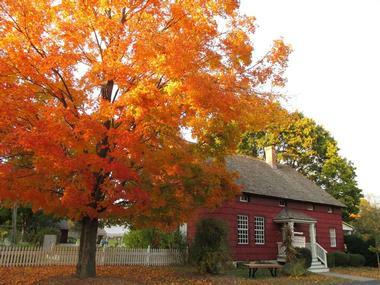 Preserved farm buildings include the Cornell Farmhouse and the New York City Landmark-listed Adriance Farmhouse, which may be explored as part of free guided tours on weekends. Hayrides are also offered on weekends between April and October, and a farmstand selling produce is showcased each Wednesday through Sunday on the site. Queens Botanical Garden is a 39-acre public botanical garden in Queens' Flushing neighborhood, originally established for the 1939 New York World's Fair and moved across the street from Flushing Meadows-Corona Park in the early 1960s. The gardens are open to the public for free between November and March, with free admission offered during select hours on Wednesdays and Sundays throughout the rest of the year, with the exception of special event times. 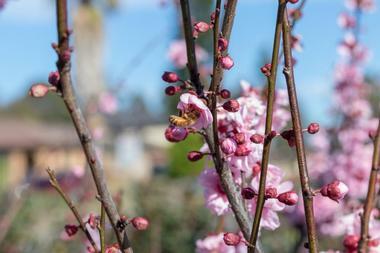 Rose, herb, bee, and perennial flower gardens are showcased at the gardens, along with an arboretum and a public art gallery. A Farm and Compost Site is also highlighted, showing visitors how to create compost for healthier soil and waste disposal. 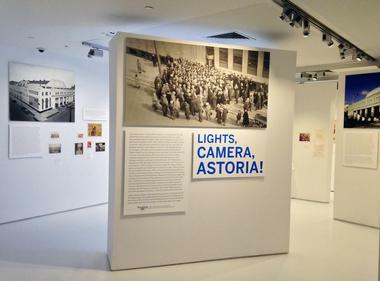 The Museum of the Moving Image is a unique media museum located in Queens' Astoria neighborhood, housed within a building formerly owned by the historic Kaufman Astoria Studios film studio. It was founded in 1988, originally known as the American Museum of the Moving Image, and strives to educate the public on the art, history, and technologies of film and other digital media. Exhibits showcase audiovisual artifacts related to the motion picture and television industries and the evolution of digital media throughout the 19th, 20th, and 21st centuries, along with one of the world's most important collections of video gaming technology. Visitors can explore the museum for free Wednesdays through Sundays, with the exception of select paid hours on Friday evenings. 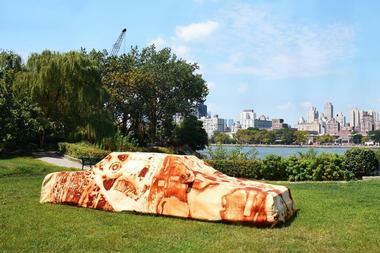 Socrates Sculpture Park is an outdoor sculpture park in Queens' Astoria neighborhood, showcasing large sculptures and multimedia installation works by emerging and established artists. The park was established in 1986 by artist Mark di Suvero, converting an abandoned landfill space into a four-acre garden that was permanent protected by the City of New York in 1998. 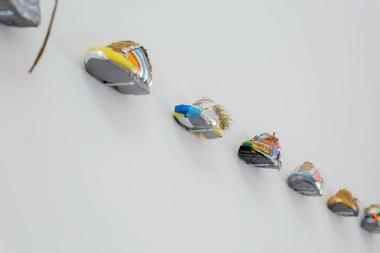 New installations are showcased several times a year, including printmaking and photography billboard installations that have been developed as part of an ongoing billboard installation series since 1999. Free tours of current exhibitions are presented periodically by city artists, and free public special events are hosted at the site, including outdoor film screenings, a farmers' market, and yoga sessions. The Queens Museum is the borough's premiere art and history museum, located within Flushing Meadows-Corona Park. The pay-what-you-can-admission museum was originally founded in 1972 and is located within the New York City Building, constructed as part of the 1939 New York World's Fair. Permanent collections showcase more than 10,000 items, with more than half made up of artifacts and artwork related to the 1939 and 1964 World's Fairs. Major exhibits on display include the massive Panorama of the City of New York, which was designed for the 1964 Fair and depicts the city's five boroughs. Other attractions include archives of photography related to 20th-century city commissioner Robert Moses, Daily News Archive crime scene photographs, and court reporter drawings by cartoonist William Sharp. The Queens Library is the official public library system of the Borough of Queens, circulating a collection of more than 7.5 million items throughout its 62 locations. The system was named as 2009's Library of the Year by the Library Journal and is one of the world's largest library systems by circulation volume, dating back to 1858. The system's Central Library offers an International Resource Center with collections in many world languages, including Russian, Chinese, Spanish, and Korean, along with a Children's Library Discovery Center located adjacent to the main library building. 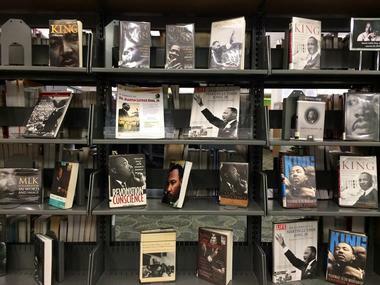 Free computer stations are offered at each library branch, with the special-collection Black Heritage Reference Center offered at the system's Langston Hughes Library branch. 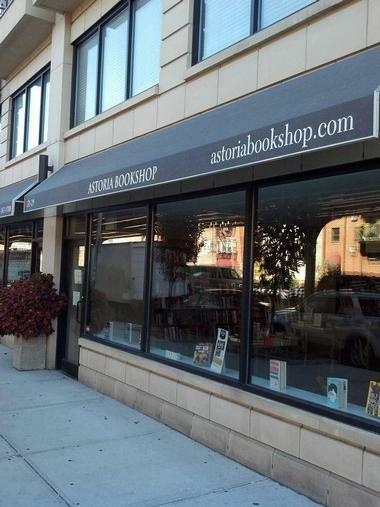 Astoria Bookshop is one of only two independent booksellers in Queens, originally opened to the public in 2013 by Lexi Beach, a former employee at publishing magnate Simon and Schuster. Visitors can peruse the bookstore during business hours daily, with bestseller and classic novel sections offered, along with special collections such as a Spanish collection and a collection of books related to the borough and city. Regular free public special events are also hosted at the store, including author lectures and signing events in correlation with new book releases. Family-friendly events include children's storytime events and public board gaming nights. Visitors can also browse the store's bestseller collection online and order books through the company's website for at-home delivery. Flushing Meadows-Corona Park is Queens' most well-known public park, originally created as the site of the 1939 World's Fair and reused as the venue for the 1964 World's Fair. The park, which is located near Flushing Bay and the Grand Central Parkway, is the fourth-largest public park in New York City, spanning an area of nearly 900 acres. 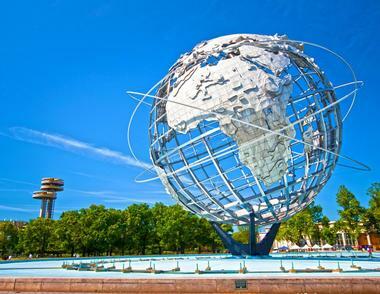 Many iconic World's Fair attractions remain, including the 140-foot Unisphere, which depicts a rotating globe of the Earth, and the New York City Building, which is home to the Queens Museum. Visitors can explore the New York Hall of Science for free or catch live theatrical presentations at the Queens Theatre in the Park for a ticketed upcharge. Other attractions include the USTA Billie Jean King National Tennis Center, which hosts the annual U.S. Open tennis competition, and Citi Field, which is the home stadium of the New York Mets. Forest Park is a 538-acre city park in Queens that is known as one of New York City's most beautiful natural features, showcasing lands carved by the Wisconsin glacier over 20,000 years ago. Portions of the park were designed by legendary landscape architect Frederick Law Olmsted, including its Forest Park Drive. 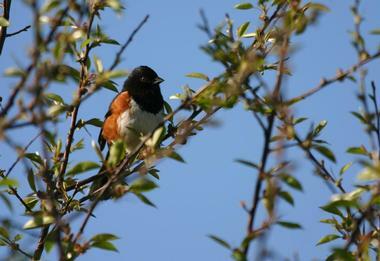 The park, which is Queens' third-largest park, is home to the borough's largest oak forest, spanning 165 acres and also showcasing tuliptrees, wild black cherry trees, and shagbark hickory trees. Visitor attractions include a 110-acre golf course, along with softball, tennis, baseball, handball, and bocce courts for public use. The George Seuffert, Sr. Bandshell hosts free public concerts throughout the summer months. The Noguchi Museum is a unique museum that showcases the world's largest collection of sculpture works by Japanese-American artist Isamu Noguchi, who was known for both his public sculpture works and stage set and decorative household designs. The museum was opened to the public in 1985, designed by the artist, and showcases more than 2,400 square feet of exhibit space today, along with an adjacent outdoor sculpture garden showcasing additional works. Selected works within the museum's core collection were curated by Noguchi himself and may be viewed both on display at the museum and digitally on its website. The museum is open to the public for free on the first Friday of each month. 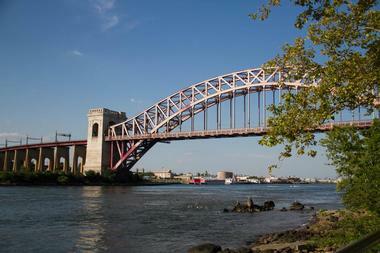 Astoria Park is a 60-acre public park along Queens' East River waterfront within the Astoria neighborhood, overseen by the New York City Department of Parks and Recreation. The park is home to the city's largest and oldest public swimming pool, which was used for events during the 1936 and 1964 Summer Olympic Games. Visitors can play bocce, tennis, and basketball on courts throughout the park or bring children to two children's playgrounds, including the unique Charybdis Playground, named after the Scylla and Charybdis water features in Homer's Odyssey. Other attractions include a bandstand offering public concerts and the Long Island War Memorial, designed by architectural firm Ruehl and Warren. Annual public special events held at the park include a Fourth of July concert by the Queens Symphony Orchestra. Gateway National Recreation Area is a unique 26,000-acre national recreation area that is spread across various sites throughout the New York-New Jersey metropolitan region, originally established in 1972 to protect the city's unique and rare natural features. Three major geographic units are offered throughout the region, including sites at Queens' Jamaica Bay near Plum Beach and the John F. Kennedy International Airport. 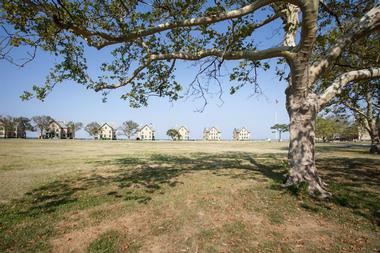 Attractions in the Queens unit include the Jamaica Bay Wildlife Refuge, which spans over 9,000 acres and provides a safe habitat for migrating birds, diamondback turtles, and horseshoe crabs, and the decommissioned Floyd Bennett Field airfield. Unique outdoor recreation opportunities provide visitors with a chance to engage in activities uncommon for urban areas, including archery, cross-country skiing, and horseback riding. 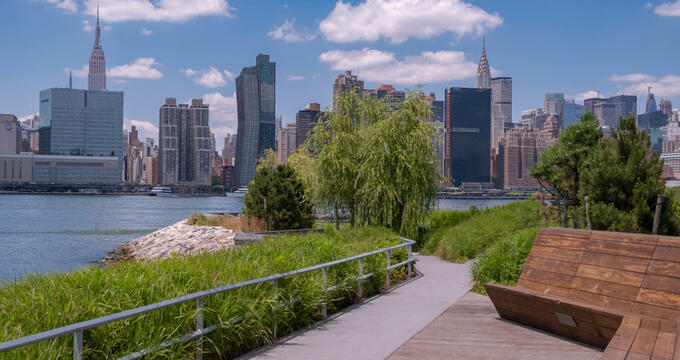 Gantry Plaza State Park is a beautiful 12-acre riverside state park in Queen's Long Island City neighborhood, located along the banks of the East River within a former dockyard and manufacturing area. The park was opened to the public in 1998 and features an iconic preserved 120-foot Pepsi-Cola advertising sign, originally constructed in 1936. Visitors can engage in a wide variety of outdoor recreational activities, including fishing at the park's fishing pier, which offers its own public cleaning table. Basketball and handball courts are also provided, along with day-use picnic areas and children's playgrounds. Unparalleled views of the Manhattan skyline are offered throughout the park, including spectacular views of the Empire State Building and United Nations Headquarters. Additional areas of the park are currently under construction, with eventual park size expected to total 40 acres. Transmitter Brewery is a hip microbrewery originally opened in 2014 by Anthony Accardi and Rob Kolb, located in Queen's Long Island City. The brewery specializes in traditional and farmhouse ales, known for variants such as witbiers, saisons, and biere de gardes, and operates under a unique community-supported brewery model that allows customers to buy shares of the company in exchange for exclusive monthly brews. 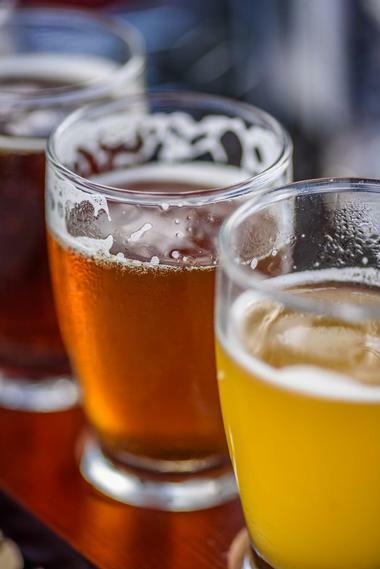 Free brewery tours for visitors ages 21 and older are offered between 4:00pm and 7:00pm on Fridays and between noon and 4:00pm on Saturdays and Sundays, starting on the hour and lasting approximately 15 minutes. Tours elaborate on the brewery's unique brewing process and community-supported operations, with tastings offered at the end of each tour. Queens Farmers' Markets offer chances to shop locally from regional New York City farmers and producers, held regularly at a number of sites throughout the borough. 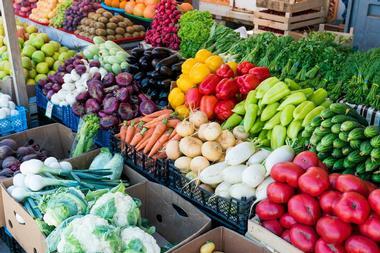 Three farmers' markets in Jackson Heights, Sunnyside, and Forest Hills operate weekly year-round, bringing produce, meat, dairy, and specialty food vendors to the neighborhoods for sales beginning as early as 8:00am. Seasonal markets are also held in Astoria, Corona, Elmhurst, Flushing, Fresh Meadows, Glendale, and Jamaica, operating throughout the summer and autumn months. Many markets accept EBT and WIC food stamps and coupons and carry unique speciality goods, ranging from Mexican salsa and Indian chutneys to fresh seasonal apple cider. 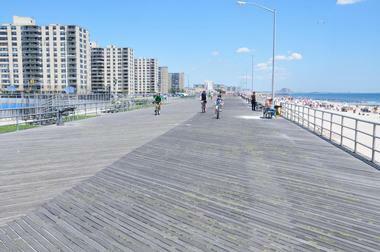 Rockaway Beach and Boardwalk is the United States' largest urban beach and boardwalk, spanning 5.5 miles along the city's Atlantic Ocean coastline. The 170-acre beach is the only legal surfing beach in New York City, spanning between Queens' 67-69 and 87-92 Streets. Public attractions at the beach include the Rockaway Doughboy Statue, which honors the sacrifice of 17 fallen World War I soldiers, and Sandpiper Playground, which is home to large populations of the migratory birds of the same name. Visitors can use day-use picnic and barbecue areas or play on baseball, basketball, volleyball, and handball courts. A popular roller hockey rink is also offered, along with children's playgrounds and concession areas. 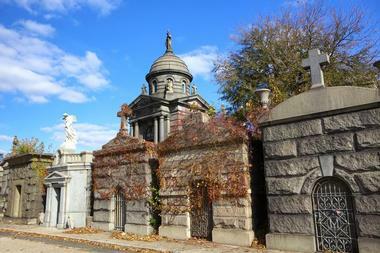 Calvary Cemetery is one of the United States' oldest cemeteries, originally opened for burials in 1848. The Maspeth cemetery is home to more than three million interments today, spanning 365 acres and operated by the Roman Catholic Archdiocese of New York. Four cemetery sections are showcased, including the cemetery's Old Calvary original section. Notable burials at the site include United States Senators, former New York City mayors, and Annie More, the first person processed through the city's famed Ellis Island immigration center. Visitors can explore burials and stroll through the beautiful Calvary Veterans Park, which is operated as a public city park. The Welling Court Mural Project decorates Queens' Welling Court neighborhood with beautiful murals and street art, originally organized in 2009, with more than 40 murals added to the neighborhood by the following year. The project is a collaboration between the neighborhood and Bushwick, Brooklyn's Ad Hoc Art gallery, serving as one of the city's most expansive collections of contemporary street art. 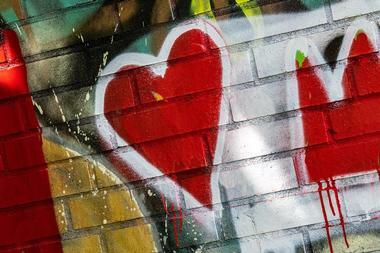 Visitors can explore the residential streets of Welling Court as part of self-guided tours and view more than 150 pieces of street art, which make for great photo and Instagram opportunities. Notable pieces include works by artists such as Queen Andrea, Abe Lincoln, and Greg Lamarche. Brooklyn Grange Farms and Apiary is a unique community-supported agricultural program in Long Island City, stretched across 2.5 acres of urban rooftop area and distributing more than 500,000 pounds of vegetables to participating restaurants and CSAs. 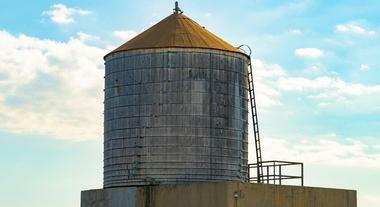 As the United States' leading rooftop farming business, the farms comprise the largest rooftop soil farm in the world, originally developed in 2010. An apiary is also operated by the corporation, with more than 30 individually-managed honey bee hives located on rooftops throughout the city. Visitors can explore the farms as part of free drop-in open house events on Saturday afternoons between 11:00am and 4:00pm.